We'll meet before the game at Jillian's for drinks and appetizers (included in your ticket price). 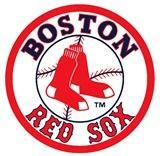 Help us root for the winning Red Sox!! We have a limited number of Pavilion Reserved seats above left field, which we will be offering to alumni and one guest for Outfield Grandstand prices! We'll meet before the game at Jillian's Boston for drinks and appetizers (included in your ticket price), and then head across the street to cheer on the team at 7:10pm! This event is organized by MITSBAA and Sloan 5!